Succulents are some of the easiest plants to work with so it makes perfect sense to use them in a wreath. 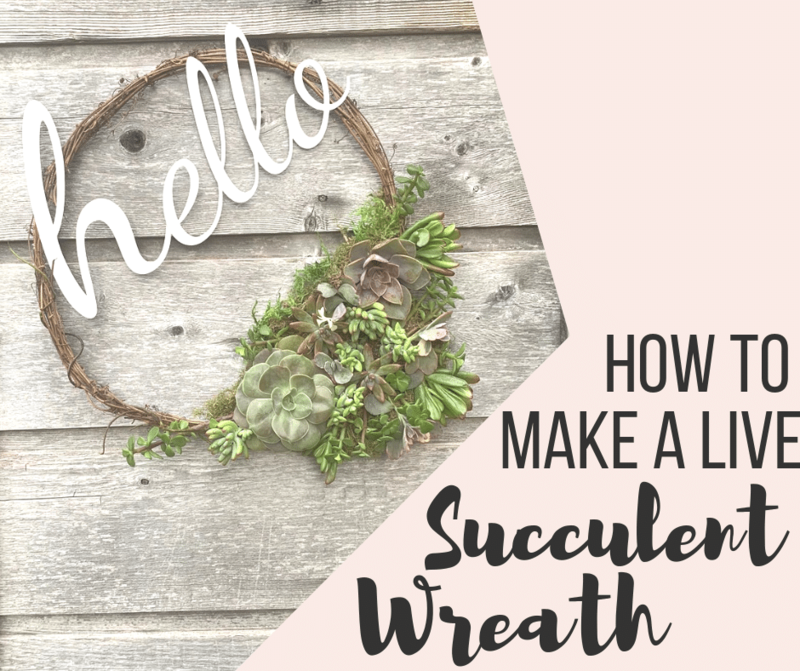 We’re going to show you how to make a succulent living wreath that you can hang up right away! 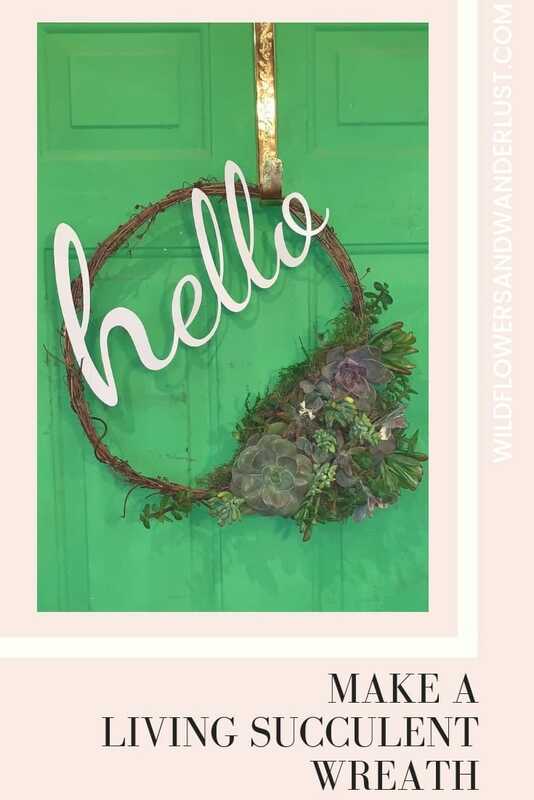 Many tutorials have you make a succulent living wreath and then leave it lying flat for 4-6 weeks before you hang it up. This gives the plants a chance to root, but we’ve got a secret. Well it’s not really a secret, but you may not have thought of using it on a live succulent. Hot glue! 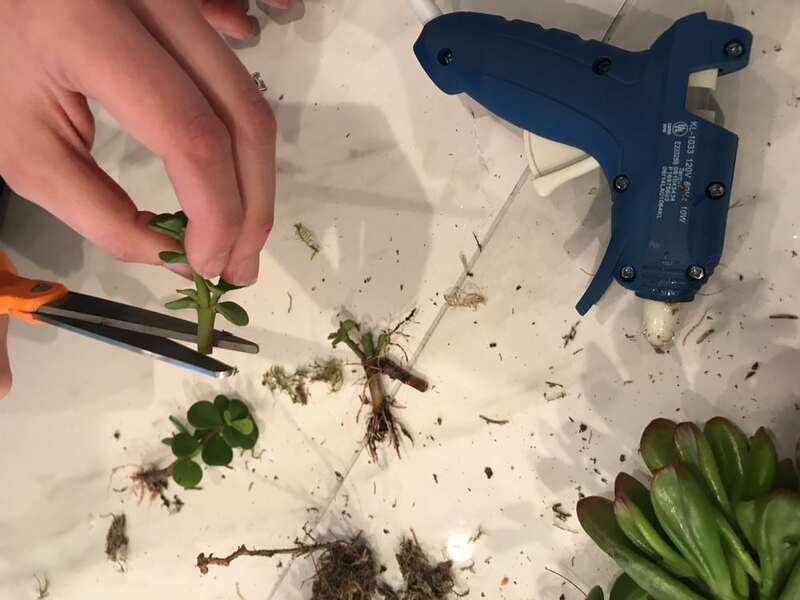 You can easily dab some glue on parts of a succulent and it won’t hurt them at all. This will hold them in place while they get rooted in and keep them from falling out of your wreath form. Now don’t get crazy and get glue all over the plant, it won’t like that. But a few strategic dabs here and there won’t hurt it at all and it will hold your wreath together until it roots in. You can use any kind of wreath form for this project. We used a wire form and made an asymmetrical wreath because we really like that style. Plastic Lid – cut into shape of your choice and two short wires to attach it. We used a disposable carton’s plastic lid. Ours was bright red since that was what we had available. If you’re actually shopping for one you might want to look for clear or green, but once it was covered up in moss it didn’t matter anyway. We cut two slits in it, fed some wire through it and attached it to our wreath form. Now we have a base for our succulents. 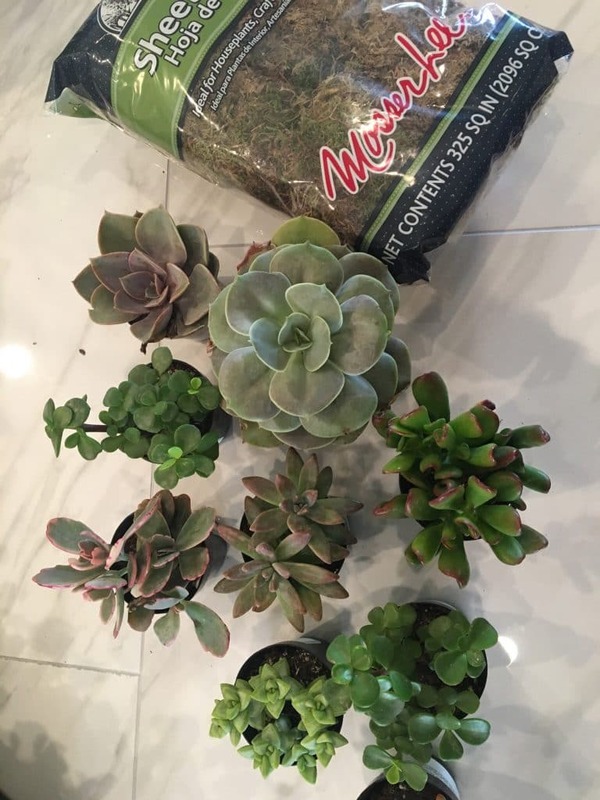 Succulents of your choice – we used 8 plants in the 2 1/2″ size and one larger (3 1/2″) for more impact. This is a quick and easy project, but it can also be messy. Potting soil and sheet moss leave a trail so be sure to plan for that. We used large baking sheets as trays for our different steps in the process. Start be soaking your moss in water to make it pliable and moist. Just put it in a bowl and let it soak for about 10 minutes and it should be easy to work with. If you try to use the moss when it’s dry it just breaks apart so the water will make it pliable. It also gives a good base for your succulents to root into fresh moss. Then you’ll want to take your succulents out of their pots. If they have multiple plants in them go ahead and separate them from each other and give them all a good washing. We just added ours to a colander and rinsed them. Then lay them to dry on paper towels. Since succulents grow slowly you’re going to want to put them pretty close together on your wreath. 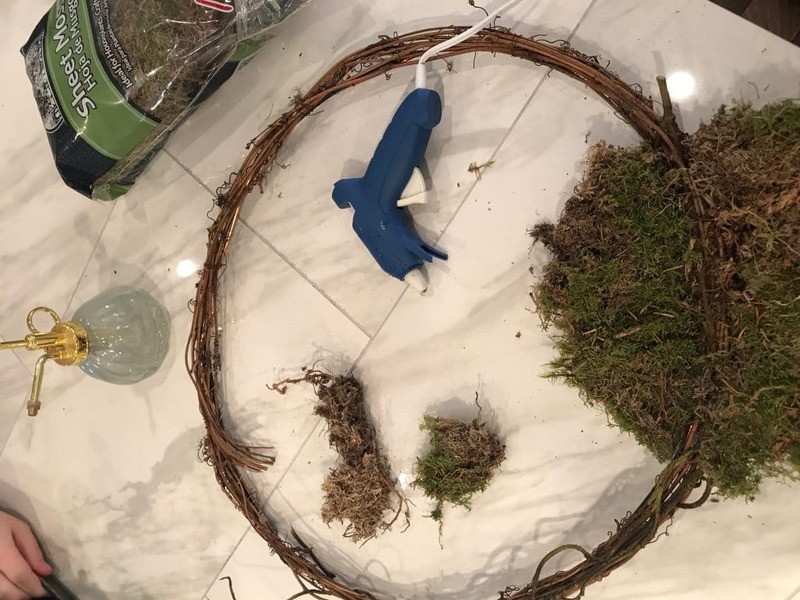 We started by laying ours onto the moss and then going back to glue them down after we had an idea how we wanted them placed. 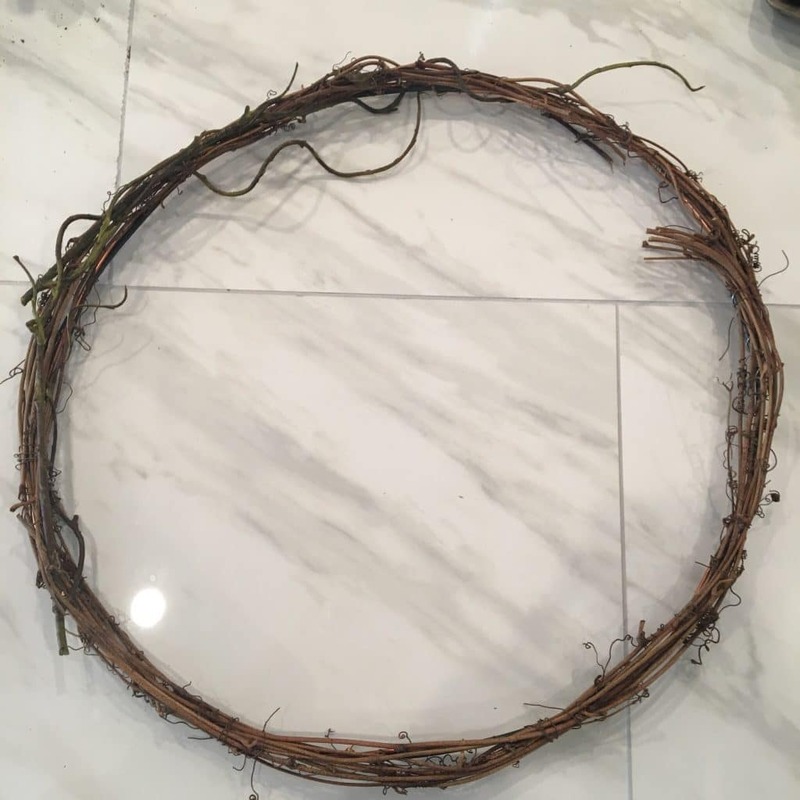 I highly recommend this so you can see what the wreath will look like when it’s finished and help you with the proper spacing. Don’t be afraid to clip your succulents to make them fit into the spaces that you want. We had one with a longer root so we clipped it to make it fit into its spot. 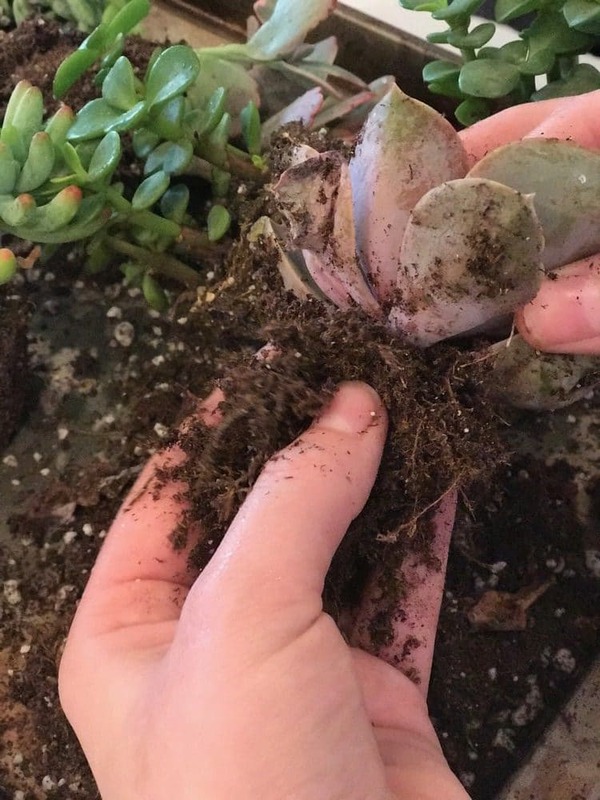 You will have to turn your succulent’s and you may have to “stuff” a little moss under them to get them in the positions that you want. Then just carefully dab a dot of glue on the succulent to hold it in place. Don’t get crazy with the glue, a few dots is all it takes. You can dab a bit on the side of the roots or on the backs of the leaves. Just be sure not to cover a large area with glue since it will create a sort of seal on the plants and kill them. Your wreath is not going to like direct sun and it may dry out quickly if it gets too much heat so be sure to consider it’s placement. The succulents will root right into the moss and look beautiful for a very long time. We glued succulents and moss to the top of a pumpkin in the fall and in the spring we just transplanted them into a pot. Check out our Succulent Pumpkin Project to see how that one turned out. We have found that the best way to water the wreath is to lay it flat on a table or on the ground. Use a very narrow armed watering can or an eye dropper. If you don’t have an eye dropper try using a straw to pick up water and put it directly on the roots of your plants. Let them sit for a few minutes and then just hang it back up to drain. If your wreath is outside it’s fine to water at the top and let it drip down. If you’ve got it hanging on your front door you’re probably not going to want water dripping all over the place though, so try one of the other methods. Since you soaked your moss and washed your succulents they shouldn’t need to be watered for at least 10 days. After that you will need to water them every 10-14 days depending on their conditions. When the moss is feeling dry you’ll need to water. Your succulent wreath should look beautiful for a few seasons, but it may need to be trimmed occasionally to keep it in shape. If you take good care of it you can easily use the clippings to plant new succulents or create a whole new wreath. 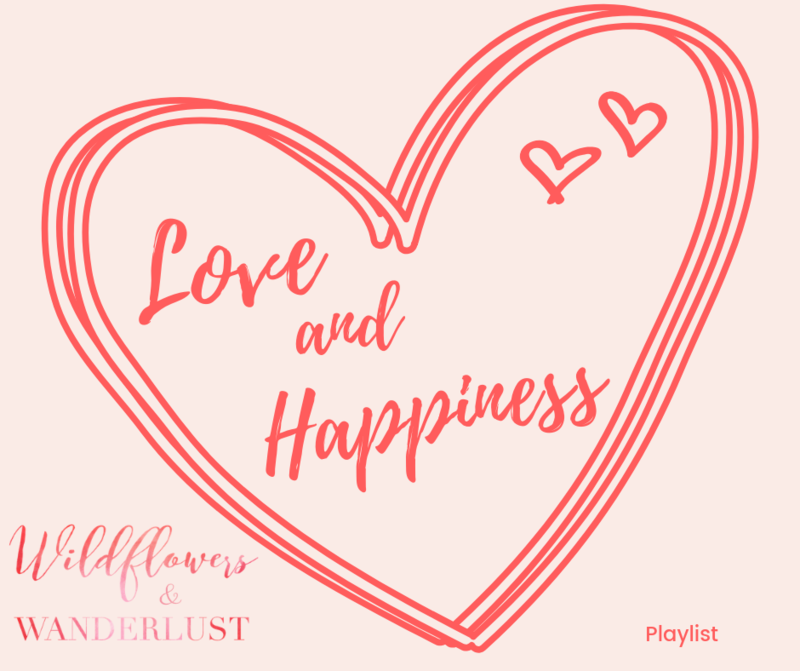 If you have questions about our project just drop us a note below. 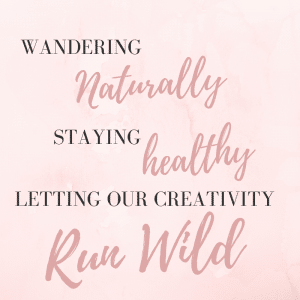 Be sure to tag us on instagram so we can see the pretty wreaths you make! 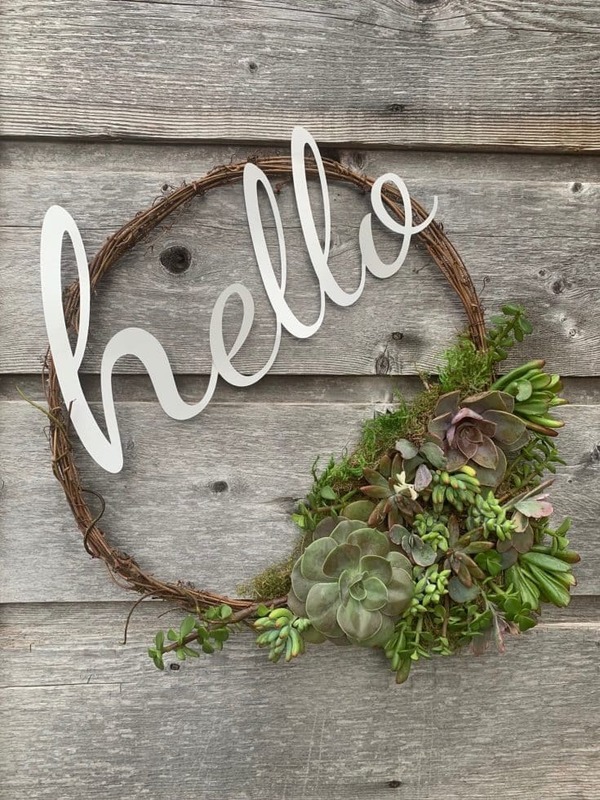 Create a gorgeous succulent wreath today with real plants! Start be soaking your moss in water to make it pliable and moist. Just put it in a bowl and let it soak for about 10 minutes, then allow to dry. 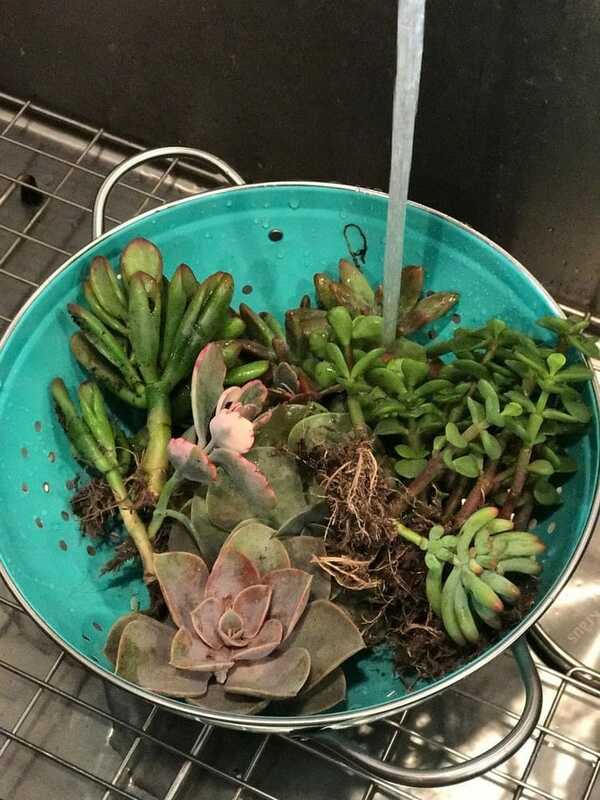 Take succulents from their pots. We used the baking sheets at this point to contain the mess. If they have multiple plants per pot, separate them and then wash them well and allow them to dry. 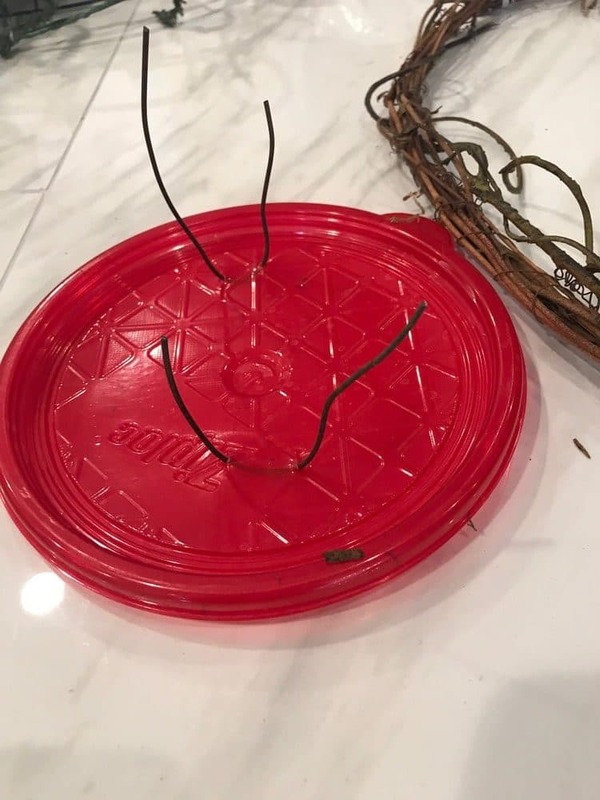 Use the wire and scissors to attach the plastic lid to your wreath in the area you've chosen. Hot glue the sheet moss to cover the plastic lid. We also added some moss along the wreath near the lid. 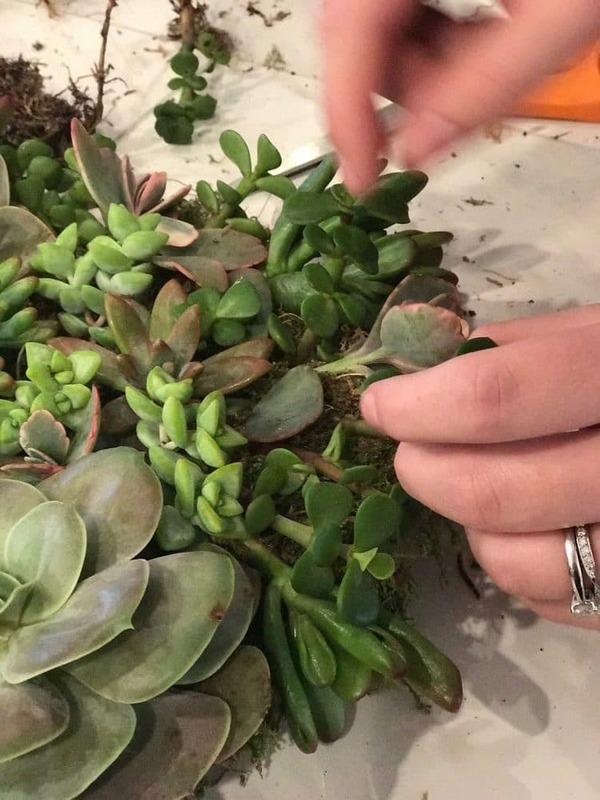 Starting with your largest succulent, arrange them and make sure you like the design before gluing it down. Use small dots of glue near the root or along the stem. 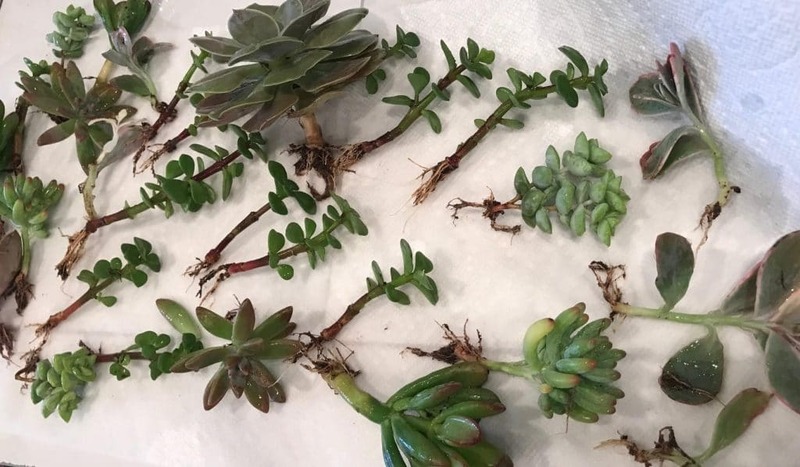 Since succulents are very slow growing, make sure to push them tightly together. Hang in a spot that doesn't get direct sun. To water, use a droplet to soak the moss surrounding the plants and only water every couple of weeks.